January 27 1949 : While away in Australia, Shute is featured in the English Model Engineer magazine article on his 1/8 hp horizontal petrol (gasoline) engine made, with "considerable modifications" from Stuart Turner No. 800 castings that he completed February 1948. 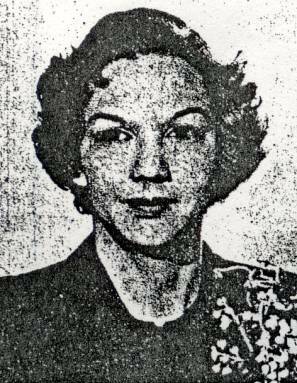 February 10 1949 : Shute meets Mrs Geysel-Vonck who is the wife of the Shell representative at Palembang on Sumatra. During WW2 Mrs Geysel-Vonck and a group of women were transported from prison camp to prison camp by the Japanese. Shute, fortunately misinformed about parts of her experience, mistakenly understands that the women were made to walk. This was possibly the luckiest misunderstanding of his life as now has the final inspiration for his greatest success, "A Town Like Alice". Mrs Geysel-Vonck whose experiences in 1942 inspired Shute to create the character and actions of Jean Paget in A Town Like Alice. 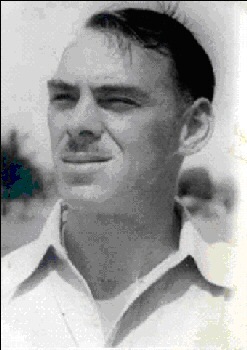 Forester Lindsley who had previously known Shute at Airspeed in the early 1930's was working as a ground engineer and teaching Ground Engineering in Karachi in 1948 and 1949 when Shute had his Proctor serviced there on his way through to and from Australia. 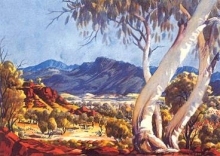 Forester reported that Shute visited him in his chummery (a shared accommodation setup) and enthusiastically approved of it. Shute later has Tom Cutter live in a similar chummery in Round The Bend and endorses the arrangement in the book. Starting as a young ground engineer at Airspeed, Forester was also involved with Cobham's National Aviation Day air circus. With his life-long commitment to precision, Forester embodied real life elements of both Tom Cutter and Connie Shak Lin and may have later influenced their characters in Round the Bend. When forced to land cross-wind by a truculent Air Traffic Controller at Brindisi, Shute ground loops his plane and Item Willie's undercarriage is damaged. This terminates the trip. Shute and Riddell leave Item Willie to be collected later and travel from Brindisi to England by KLM airliner. Only 10 days after returning to England Shute starts writing A Town Like Alice. Nevil and Frances attend the deHavilland Garden Party where Shute meets Airspeed test pilot George Errington. 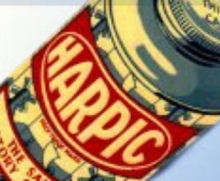 De Havillands had absorbed Airspeed in 1942 and so it was probably also an Airspeed party. 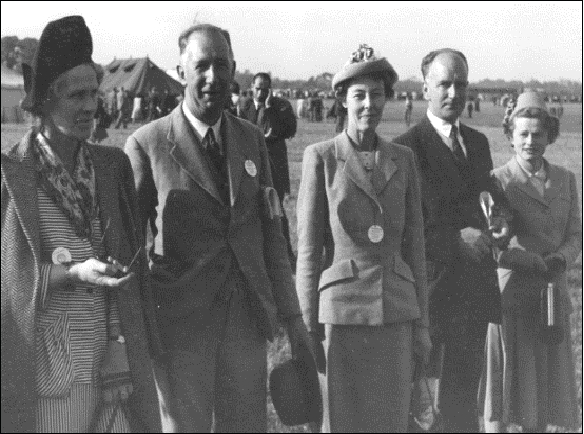 Frances, Nevil, Mrs Pike, George Errington and an un-named woman at the May 08 1949 deHavilland Garden Party at White Waltham aerodrome. Mrs Pike looks like a bit of a character. 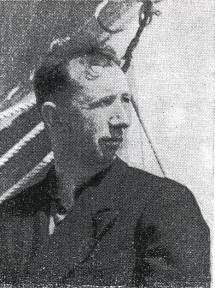 George Errington had been an Airspeed Test Pilot since 1935. White Waltham aerodrome featured as the base for The Queens Flight in Shute's 1953 book In The Wet in which Shute described sheep being herded off the aerodrome to allow a plane to land. Shute finishes writing A Town Like Alice. July 27 1949 : The first deHavilland Comet flies. The Comet is the worlds first jet airliner.